Before reading on, don't forget to have a look at our review of volumes 1 and 2 of Sword Art Online. 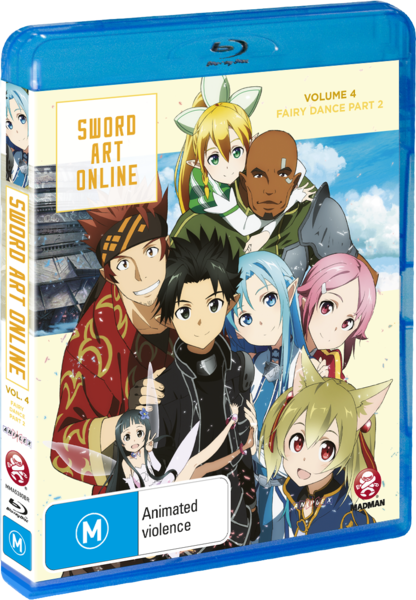 Sword Art Online Volumes 3 and 4 encompass the second arc of the series seeing Kirito released from the cyber-prison that is Sword Art Online. Unfortunately, not everyone shares his fate. Still stuck in an RPG induced coma is his new love, the hot headed Asuna. So, of course like any good hero, he dives straight back in to save his fair maiden. Welcome to the world of ALfheim Online, the land of fairies and spiritual successor to the much maligned and seriously deadly Sword Art Online. The first thing that strikes you about Sword Art Online on Blu Ray is the gorgeous animation. Not only are the colours vibrant and vivid, but the line work is super crisp and pops off the screen. A-1 Pictures are very quickly establishing themselves as my favourite and most trusted animation studio. With Birdy The Mighty: Decode, Black Butler and Blue Exorcist under their belt, you can just about guarantee that their next works to be released, Magi: The Labyrinth of Magic and Vividred Operation, will be visually spectacular as well. Each and every episode of Sword Art Online is as good a quality as the last with no noticeable drop in quality. The quality of picture on Blu Ray is truly astounding and, frankly, it'd be a shame to watch it any other way. Unfortunately this arc just doesn't have the same punch as the first. In part this is due to the fact that the threat posed to Kirito is now gone. He and his fellow SAO players are now out of danger. They're free to play this new game without LITERALLY fighting for their lives. Sure, some behind the scenes nastiness is going on, but there threat level is dramatically reduced. Add to that a rather drastic change in character for Asuna and you've got a somewhat lacklustre follow up to the thrilling first arc. 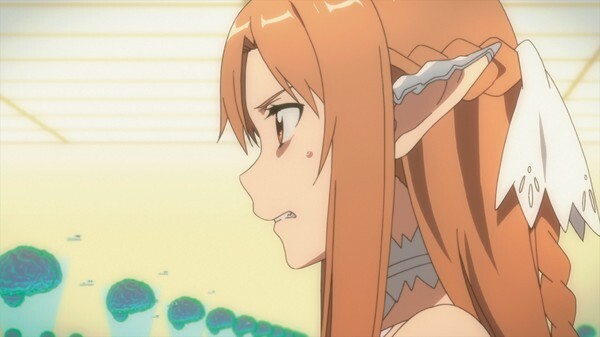 It's understandable that Asuna's spirits would be somewhat broken as a prisoner in ALfheim, but she loses so much of the strength that was built up in the first arc and is instead shown as the damsel in distress. Further to this, the focus on Kirito's journey seems to be glossed over in this second arc. He enters as an almost unstoppable force, again reducing the threat posed to his end goal. For any complaint about the lack of threat posed to the characters, the extended roster that we get introduced to are pretty cool and it's great to revisit characters from the first arc such as the hulking but kind-hearted Agil. 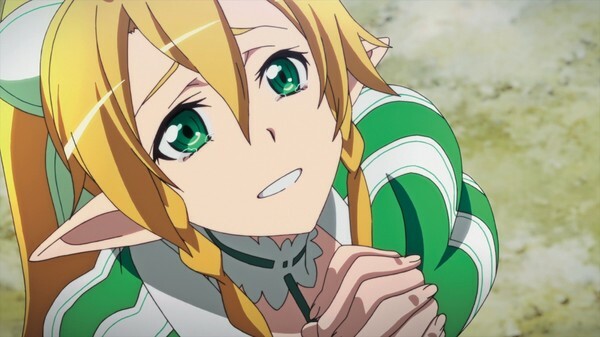 Regardless of any complaints, the end of the series is satisfying while still leaving room for more Sword Art Online goodness, such as last years feature film and the upcoming second season which will undoubtedly feature the Gun Gale Online and UnderWorld arcs from the light novel series. Generally when a series finishes hinting at more to come, you'd feel dissatisfied but in this case I'm just glad that I'll have the opportunity to revisit this awesome universe again some day. 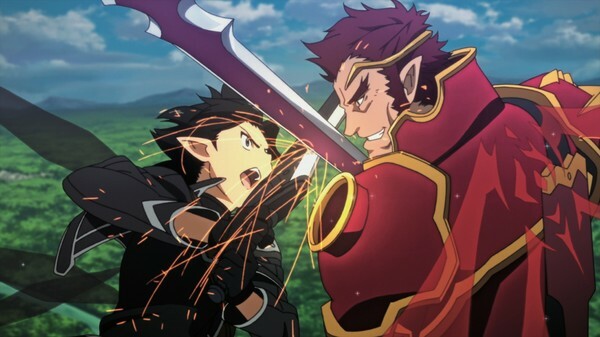 With animation so gorgeous, an immersive story and a fantastic score by the legendary Yuki Kajiura (Fate/Zero, Puella Magi Madoka Magica, Gundam SEED), Sword Art Online is a total package and it's easy to see why it became the international phenomenon that it did. Sword Art Online Volumes 3 and 4 aren't quite as thrilling as the first 2 volumes it's still a pretty damn good series overall and one that certainly deserves watching in high-def. Don't forget that the Sword Art Online exhibition will be on display at Supanova Gold Coast on 5-6 April and Supanova Melbourne on 12-13 April. Volumes 1-3 of Sword Art Online are available now from Madman and volume 4 is available from the 19th of March.